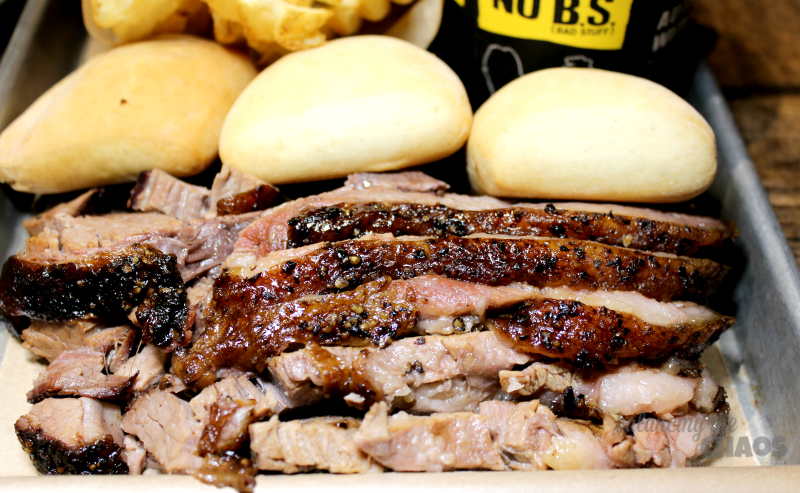 If you like slow roasted barbecue flavor, you MUST try Dickey’s Barbecue Pit. Family owned and operated, Dickey’s offers guests delicious hickory smoked signature meats.The menu features beef brisket, pulled pork, St. Louis style ribs, polish sausage, spicy cheddar sausage, smoked turkey, and marinated chicken, with an extensive array of home-style sides from jalapeño beans to macaroni and cheese. Buttery rolls are served with every meal along with complimentary ice cream. 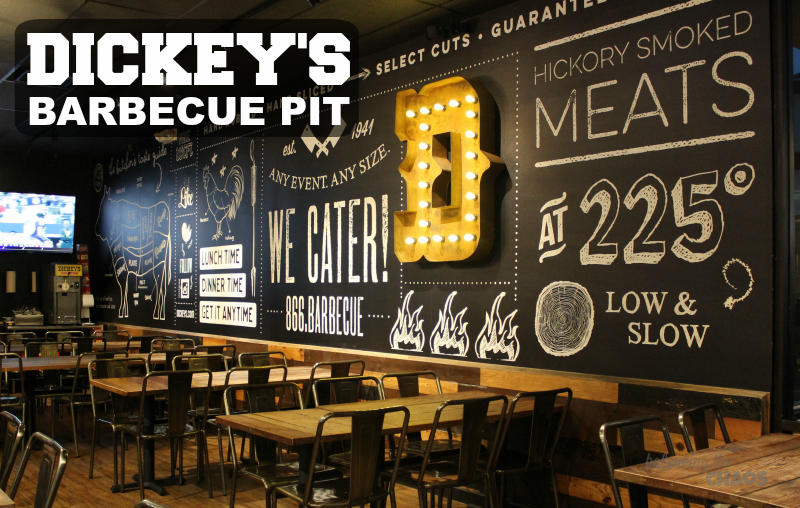 Last week we had the opportunity to stop in and check out the Dickey’s Barbecue Pit in Laguna Niguel. We were invited to sample the “Six Pack” which is also known as the “Family Pack”. Perfect for a family or group from 4 to 6 people, the Six Pack includes your choice of 2 meats (1lb. each), three medium sides and six rolls. Let me tell you, that was a TON of food. My daughter’s favorite meat seems to be ribs at the moment so we selected Dickey’s St. Louis Style Pork Ribs. 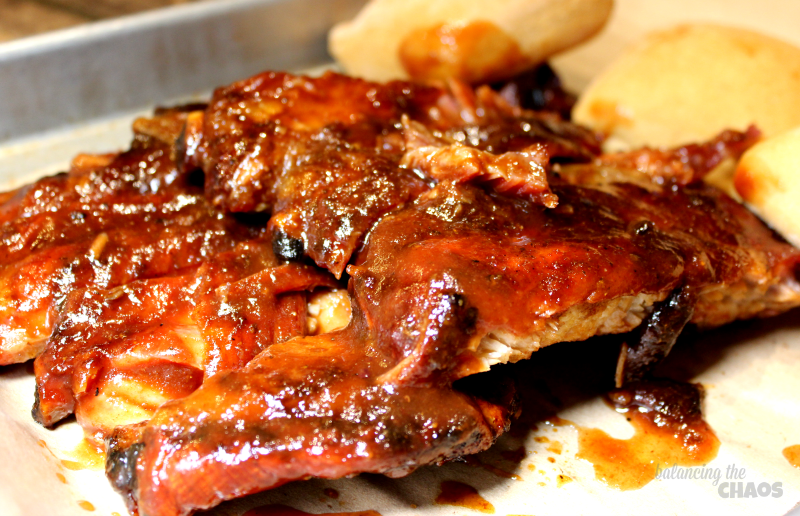 They were so moist and tender, the meat was literally falling off the bone. Paired with their sweet sauce, they were instantly a family favorite. Our second choice of meat was the sliced Beef Brisket. Slow roasted with delicious seasoning, the Beef Brisket was also tender and full of flavor. I chopped my portions up and at it like a sandwich on the roll with a bit of barbecue sauce. It was quite an amazing little brisket slider. 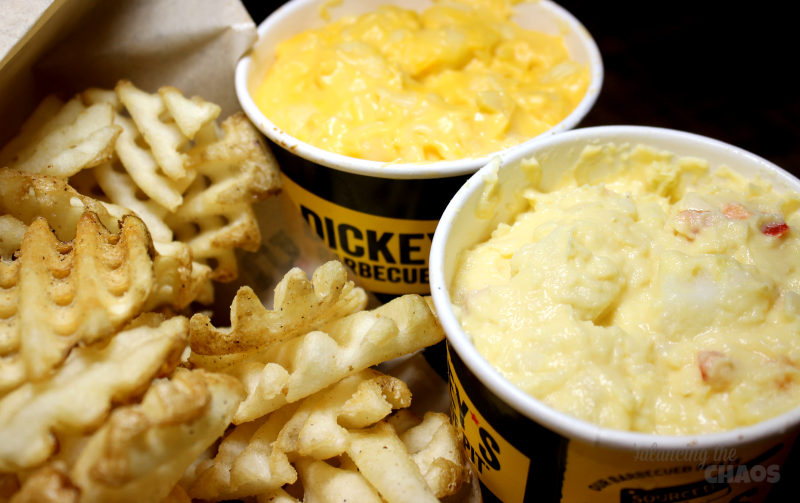 For sides, we chose something for everyone: waffle fries, Idaho Russet Potato Salad, and Mac & Cheese. The waffle fries were perfectly fried with a hint of seasoning salt – just the way I liked. The Mac & Cheese had a thick, rich cheesy sauce and the potato salad consisted of large chunks of potatoes – again, just the way I liked. The Six Pack also includes ice cream for all – which we gladly helped ourselves; except for me. I was so full, I didn’t have room. One tip, kids eat free on Sunday, which I hadn’t realized. We’re sure to go back soon because there are so many other dishes I’d like to try – maybe even this coming Sunday! For more information about Dickey’s Barbecue Pit and Catering and the location nearest you, visit their website here: Dickey’s Barbecue Pit.